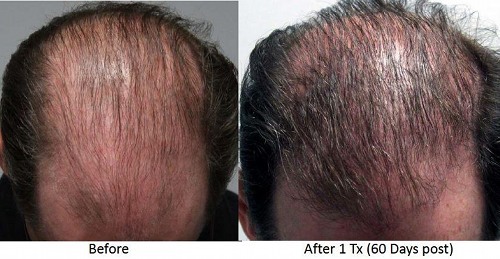 Clear Sky Medical offers PRP (Platelet Rich Plasma) hair growth treatments. Growth factors from your own blood can be used to stimulate activity of the hair follicles and promote hair growth. 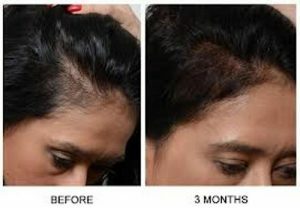 This is great for those of us who are experiencing thinning hair. The process involves taking a sample of the patients blood and putting it in a centrifuge. The red blood cells are separated from the plasma, and the plasma which has platelets is injected into the base of the hair follicles. The process must be precisely done, but by a skilled practitioner it can be done in a half hour. The procedure is easy to fit into a schedule and it is done once a month for the first four months. For further treatments, they are done each three months after that. PRP hair growth usually requires a set of treatments, so you can order a package of 3, 4, 6 or a single. More on PRP hair treatments by Allure Magazine.